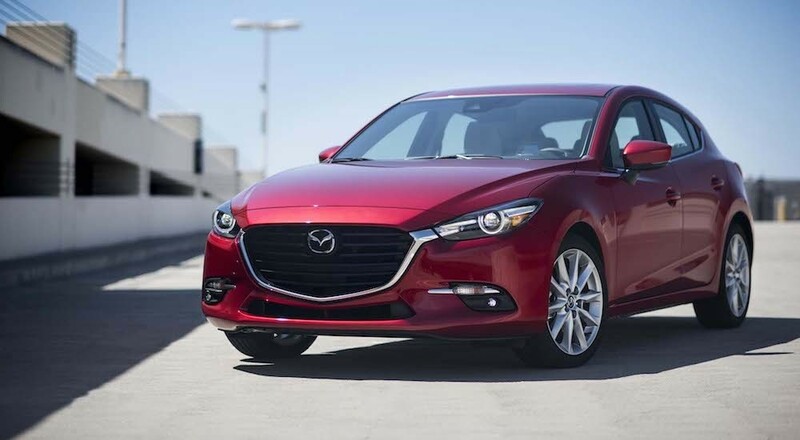 As you’re exploring Mazda’s vehicles, you might find yourself overlooking the Mazda3 four-door sedan. This isn’t an indictment on the model; rather, the price tag almost seems too good to be true. Of course, the rest of the brand’s vehicles are relatively inexpensive, so you could presumably afford the other offerings. However, once you begin exploring everything that this vehicle has to offer, you’ll understand that this might actually be the best choice. Despite the $17,845 starting price, the Mazda3 can easily rival vehicles that cost almost twice as much money. The performance, customization options, safety functions, and interior amenities clearly puts the vehicle on the highest tier in its segment, but it could also arguably go head-to-head with vehicles in higher-end segments. An inexpensive vehicle is not mutually exclusive with a mediocre, inefficient engine, and this is confirmed by the 2017 Mazda3 four-door sedan. The SKYACTIV 2.0-liter DOHC four-cylinder engine might be small, but you can anticipate an equal amount of power from this unit as you would from any larger rival. The system manages to deliver an impressive 155 horsepower and 150 pounds-feet of torque, which is more than enough power to cruise by your fellow drivers on the highway. Meanwhile, thanks to the inclusion of Direct Injection technology, drivers can anticipate an especially alluring 37-miles-per-gallon on the highway when the car is equipped with the manual transmission. The vehicle is already rather inexpensive, and the brilliant fuel efficiency specs indicate that the cost of ownership will be relatively low, as well. If a customer is looking for even more power, they can pursue the impressive SKYACTIV 2.5-liter DOHC four-cylinder engine, which cranks out an incredible 184 horsepower and 185 pounds-feet of torque. Surprisingly, the uptick in power doesn’t do much to compromise the fuel efficiency, as the system still promises 36 miles per gallon on the highway (when partnered with the automatic transmission). Thanks to these offerings, customers don’t have to settle for an unattractive vehicle. Rather, they can customize their Mazda3’s exterior and interior to meet all of their cosmetic requirements. Speaking of the interior upholstery, owners will appreciate all of the classy, comfortable amenities that are included in the sedan. The sports seats have been designed to mold to the occupant’s body, resulting in a considerably more comfortable ride. Meanwhile, the seat perforations don’t just allow the material to breathe (thus reducing heat and friction), but they also play a significant role in reducing road noise, thus providing occupants with a peaceful commute. Of course, there are also a number of technological features that will improve the entire driving experience. The Active Driving Display surely impacts convenience and safety, as the system showcases essential information right in front of the driver. The system has specifically been placed in a location that’s both easy to see and access, meaning drivers won’t have to strain their neck in order to view vehicle diagnostics, fuel efficiency, and mileage. Meanwhile, the MAZDA CONNECT system allows drivers to access a number of applications that can both assist and entertain. Via the easy-to-use touchscreen, occupants can utilize an extensive navigation system and listen to the radio. Thanks to the inclusion of Bluetooth technology, drivers can also connect their phone, allowing them to make calls or stream their favorite tunes. If you do decide to jam out to music, you can do so via the Bose Centerpoint 2 Surround Sound System. Fortunately, all of these interior and exterior inclusions will receive the utmost protection thanks to Mazda’s array of safety functions. These inclusions revolve around the i-ACTIVSENSE technology, which provides a number of features that will help keep drivers out of harm’s way. Systems like the Lane Departure Warning will alert drivers when it’s unsafe to switch over, thus allowing them to avoid a devastating crash. The Lane-Keep Assist will prevent any swerving and swaying, keeping the Mazda3 sedan on its intended path, while the Advanced Blind Spot Monitoring system relies on sensors to determine when another drive has quietly pulled up beside you. The braking technologies will provide even more assistance. The Smart City Brake Support will recognize when deceleration is required, adjusting the brakes to prepare for the stop. The Smart Brake Support plays a similar role, alerting the driver when they’re approaching a stationary object at too great of a speed. The car will notify the driver via audible and visual cues, and if no action is taken, the car can immediately apply the brakes. These braking technologies team up with the Mazda Radar Cruise Control, which allows the driver to take a brief break without compromising safety. Equipment like the Adaptive Front-Lighting System can play a significant role in boosting safety. This unit will adapt the lights for corners and turns, providing occupants with maximum flexibility. The High Beam Control will activate when the roads are particularly dark, but will subsequently adjust the brightness when another vehicle is detected. So, it’s evident that the Mazda3 is a high-end drive, despite its incredibly affordable price tag. 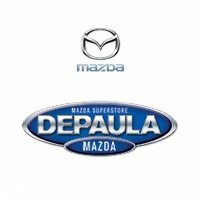 Now that the Mazda3 is in your sights, it’s time to head into DePaula Mazda and initiate the car-buying process!